Are you looking for Detention tanks that slows the release of stormwater, or Retention tanks that can store water for your house or garden? 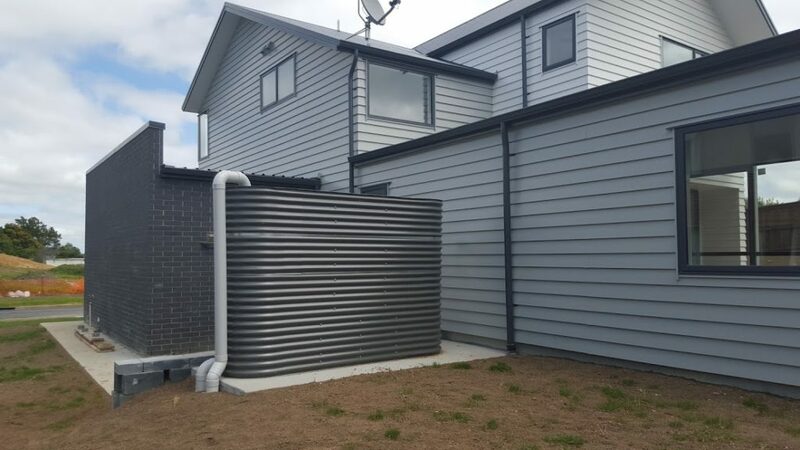 Tanksalot® manufactures quality custom made Slimline, Round or Square Detention and Retention tanks for homes in Auckland and throughout NZ. Our rainwater Detention and Retention tanks are designed to be above the ground and can be made to measure to fit any area. We also offer custom made, slimline under house water tanks. 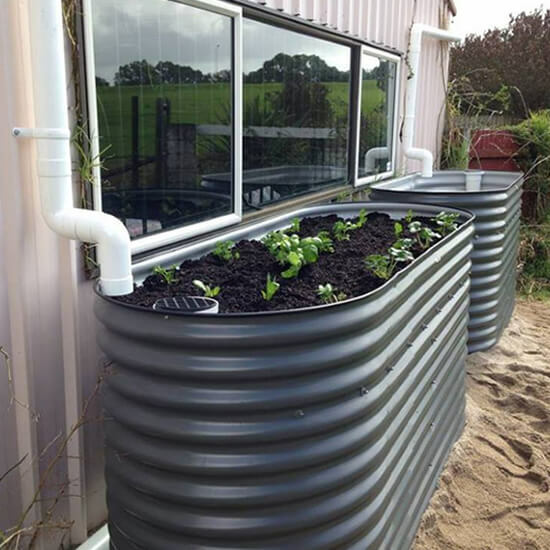 Our stormwater Detention and Retention tanks can be installed with all fittings fitted to your tank for an easier install. Our stormwater Detention tanks are designed to release water in a slow and controlled fashion, which means there is no need for a pump. Here is an article that explains this well. With Detention tanks becoming a requirement, why not increase the capacity and make your detention tank a Retention/Detention tank. For example, if you are required to have a 4000 litre Detention, then go to a 7000 capacity allowing the extra 3000 litres to supply your household. Call me to discuss for additional information. Choose the largest tank that will fit into your available area. Direct as much of your roof area as practical into your tank. Normal garden hosing can use up to 1000 litres per hour of water. A 5000 litre water tank will therefore provide around 5 hours of watering time. Make sure capacity of your tank will suit your water use requirements. One square metre of roof area will provide one litre of water for every millimetre of rain. Maximising the roof area feeding to your tank is the best way to ensure you collect as much water as possible. Be aware that every 1000 litres of water in your tank is one tonne of mass. Considering the location of your tank, and be sure not to place the tank in an area with unstable ground or too close to existing house footings.